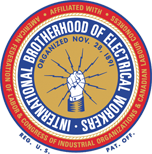 Benfield Electric Supply is a member of the National Association of Electrical Distributors. 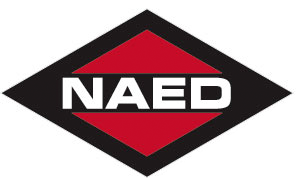 NAED connects the entire electrical industry, serving as a hub of networking, education, and research. The enhanced knowledge and expertise members gain from NAED translates into better service for their customers. When members save customers time and money, it results in a competitive advantage. Benfield Electric Supply is a member of the National Association of Wholesaler- Distributors. NAW connects the wholesaling and distribution industry, serving as a hub of networking, education, and research. The knowledge members gain from NAW translates into better service for their customers. Benfield Electric Supply is a member of the IMARK Group. 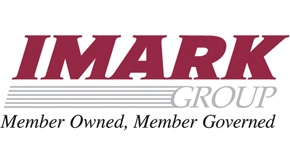 IMARK Group, Inc. is a member-owned marketing group made up of over 900 independently owned electrical distributors throughout the United States. Their membership includes over 80 members in the Top 200 largest distributors in the country. Member companies serve their local customers from nearly 3,000 branch locations. With over 18% of the US electrical distribution market, the members of IMARK Group, Inc. constitute the largest member owned, member governed cooperative in the US electrical industry. Benfield Electric Supply is a member of the Elevator Conference of New York. The mission of the ECNY is to promote, foster and advance in every lawful manner, the common interest and goals of those engaged in the vertical transportation industry, also known as the Industry; to encourage, increase and advance fellowship, cooperation and mutual interest among manufacturers, suppliers, contractors, consultants, inspectors, public employees and field personnel engaged in the industry. Benfield Electric Supply is a member of the National Association of Elevator Contractors. TNAEC is an association of elevator contractors and suppliers serving primarily the interests of independent elevator contractors and independent suppliers of products and services; promoting safe and reliable elevator, escalator and short-range transportation and promoting excellence in the management of member companies. Benfield Electric Supply employees of are members of the Supply Division of Local Union #3 of The International Brotherhood of Electrical Workers. Local 3 is the largest local union within the IBEW and has the most highly trained, skilled and experienced electricians in the industry.